As far as I can remember, Britt has stayed out of trouble for a while now. His first few years in the league though......what a dummy. Yeah Britt seems to have grown up, I'm not too concerned about him. Agree with Britt seeming to be a pretty solid individual now. Sounds pretty mature and smart in his interviews. Corey? What's done besides injuries? Lol this is awesome, quoting a month old post and tossing in a grammatical error for a first post. I like this fella already. I predict big things for this kid. Nope - all of you who left us for the new forum aren't allowed to enjoy this! No way are you getting this kind of quality over there - you guys are New Coke, we're classic. Psssshhhhhtt we're that new Pepsi Fire and you guys are some old azz Crystal Clear Pepsi from 90's. Come join us in the future. Wait...what have I missed??? Is there a mass migration somewhere???? Read the "Important FF Announcement" thread - a majority of the posters have gotten access to the beta or are in the process (myself included). There are entirely different discussions happening over there so it seems like anyone who wants to stay up to date on training camp stuff should request access from Webby now per his instructions. Just thought I'd toss this out. We've got the GDT sign up posted, and up and running over there. Progress for the sake of progress isn't always progress. 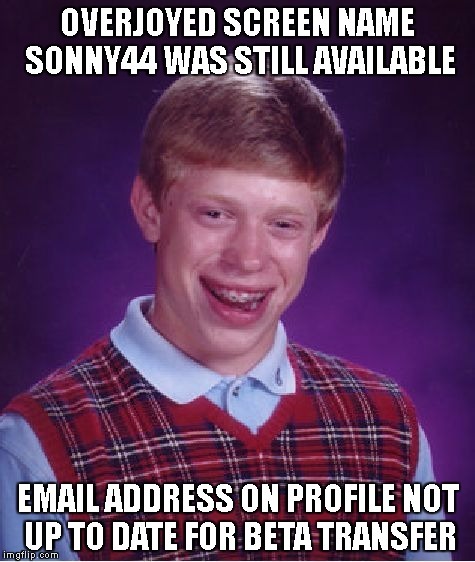 Welcome to the forum, sonny44. Don't listen these guys.